TriPeaks Solitaire is a brand new card game experience, filled with fun casino style logic puzzles from the makers of the #1 Solitaire game! Brain training and casino fun meet in this free game! Solve deals and celebrate your TriPeaks victory with our exclusive winning animations at the end of every deal. Our TriPeaks Solitaire game gives you unlimited and unrestricted card games, so you can play to your heart’s content…no more waiting for the next TriPeaks level to unlock! We are the original creators of Daily Challenges! Each day you’ll receive a unique Daily Challenge. Solve the Daily Challenge and receive a crown for that day. Earn trophies each month by winning more crowns! Your Daily Challenges, crowns, and current trophy status are available to view any time. Play the current day’s deal and replay it as many times as you’d like on that day. 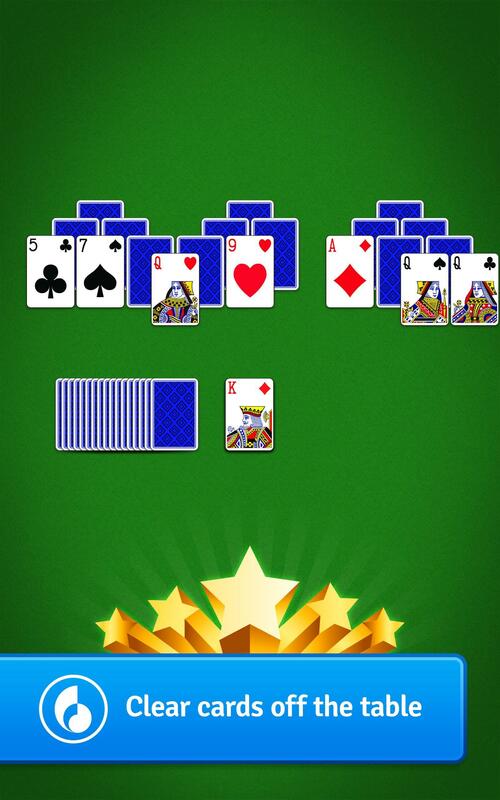 • Free games of TriPeaks Solitaire, now just a tap away! • Card games fans will love TriPeaks Solitaire! Do you play Patience, Pyramid or Spider Solitaire? Give TriPeaks Solitaire a shot! • There is TriPeaks Solitaire authenticity and fairness in every deal! Get unlimited deals for Solitaire fun anytime. • Random deals mean each hand is fresh. 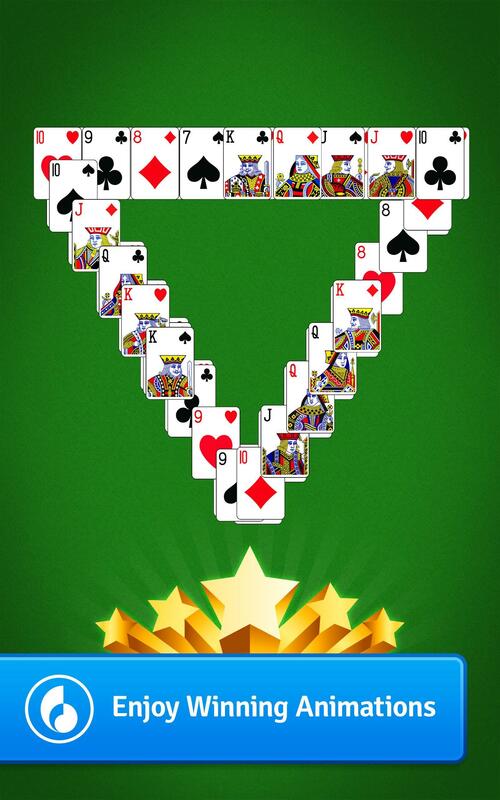 • Brain training is fun and easy with TriPeaks Solitaire! 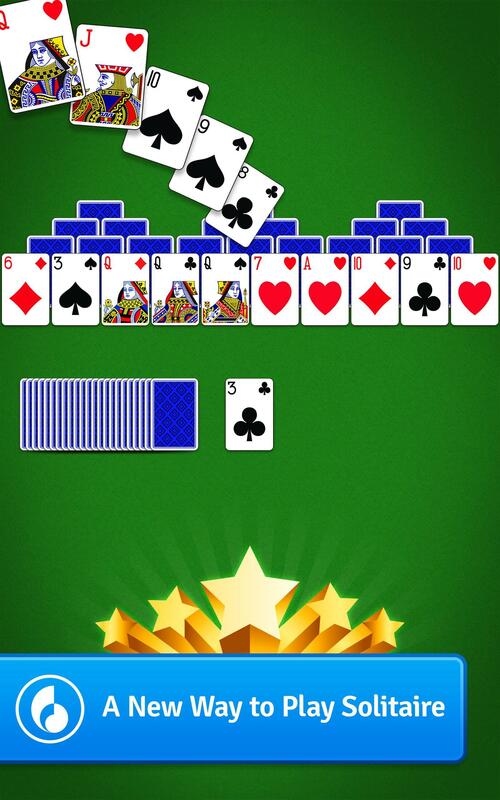 Can you solve each Solitaire puzzle? 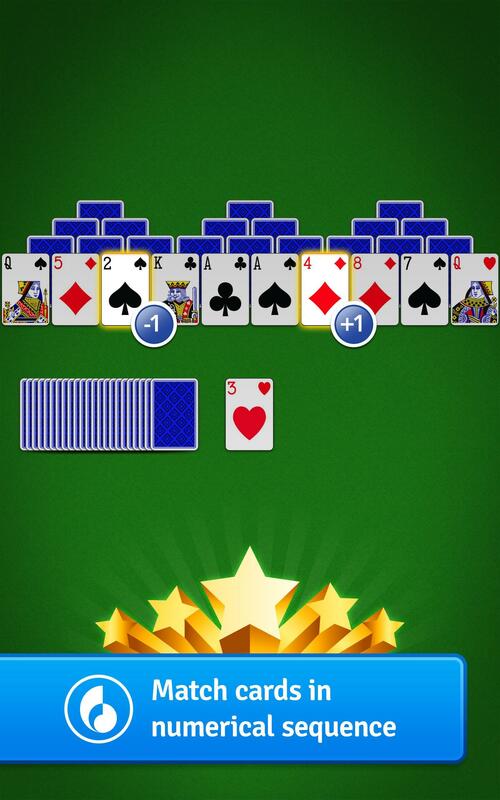 Free Solitaire games come to your Android with TriPeaks Solitaire! Fans of logic puzzles, Patience, Pyramid, Spider Solitaire and other card games will love it! Fun features have been added including:- Progression XP and titles- New Seasonal Themes - Winning Deals for Non-TriPeaks Layouts- Settings: Collapsible Lists- Setting: Winning Deals Slider- Setting: Skip Winning Animations- Setting: Reduced AnimationsNumerous small bug fixes and updates to improve your gameplay experience!